Know a Great Speaker? Let us know! Become a Paul Harris or Lester Woodall Society Member! Have a Potential New Member(s)? Reach out to Eva Frongello, Membership Chair! Become a Paul Harris or Lester Woodall Society Member! Contact Eric Larsen, Foundation Chair! LIKE, COMMENT, SHARE – Share your Rotary experiences on Facebook! A Rotarian Action Group is an autonomous group of Rotarians, family members, program participants and alumni who are experts in a particular field, such as microcredit or water and sanitation. Group members share their expertise by collaborating with clubs and districts on service projects. A Rotary discussion Group connects you with with other Rotary members by joining a discussion group or starting a new one. Find others who share your interests and activities, connect with project partners, and tap into the diversity of global perspectives that is Rotary. Join a Rotarian Action Group to share your expertise and make a difference in projects beyond your club or district. To get involved, check our group directory or view a list of action groups and contact the one you’re interested in. Join or start a Rotary Discussion Group to connect on a more social level with Rotarians worldwide. Remember Amazon Smile Every Time You Shop! Every purchase earns our club foundation .5%! Click HERE to start shopping. Make sure you Like us on Facebook so you can keep up with our service projects and initiatives. Have an idea for a speaker? Have you met someone who you think would be a great Rotary speaker? Contact Mike Tadych for information on available dates and other information regarding speaking to our club. Direct all potential speakers to our website Speaker Information area for information on the technology available and what information the Program Committee needs in order to update the web site. Currently all speaker information should be directed to Mike (including head shot and topic summary) for upload to the website and bulletin. For a complete list of upcoming speakers please refer to our Speakers page. Looking for a list of all current signups? Click HERE. The page is updated as events are organized or completed. Did you miss a speaker everyone was talking about? Do you want to watch a presentation again or share with colleagues? 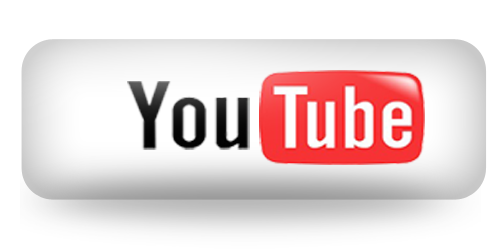 Check our YouTube channel for older presentations and Facebook for our more recent presenters who were live streamed!